Andy Bender, 41 years old from Rabenau in Germany. Andy is the owner of the Sleipnir Pulling Team and the driver of the 950kg / 2095lbs. BAE V8 Hemi powered Mini Modified Tractor called ,,Thor". He also was German Championship runner up in 2015 and 2016 in the Mini Modified division. 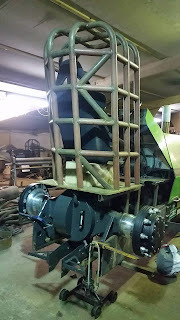 Andy Bender: In cooperation with my brother I am managing a company, which is specialized in erosion control and hydroseeding.We are working nationwide, but also in other European countries. We have about 30 employees. Andy Bender: I am visiting the soccer games of Eintracht Frankfurt for 25 years now. I am also interested in politics and history. My family is, of course, an important part in my life too. 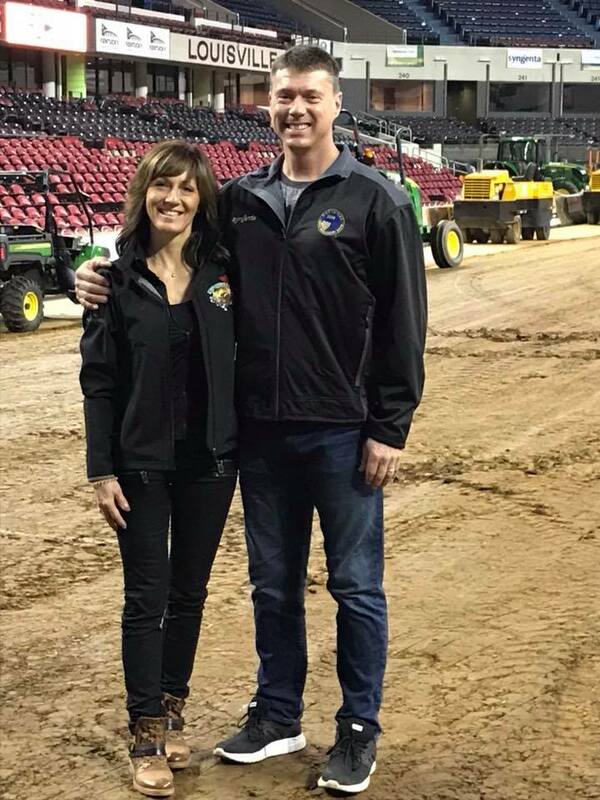 Andy Bender: I really like the atmosphere in the Pulling family and the possibility for the fans to get in touch with the Teams and the sport. I also like that there’s a chance for children to start with Garden Pulling at a very young age. Andy Bender: That was in the mid 80’s in Schameder, Germany. Andy Bender: Every competition has its own character, but Füchtorf (D) and the competition in Schlechtenwegen (D) (my home pull) are my personal favorites. One of the best tracks in Germany is definitely Krumbach-Breitenthal (D). Andy Bender: I’ve had my first start with Thor at Füchtorf (D) in April 2014. My son Jan Odin started earlier than me, he already started with Garden Pulling in 2011 at the age of 8 years. 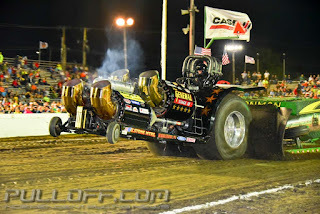 This were our first steps as a Team in the Pulling sport. Andy Bender: The two German vice Championships with Thor in 2015 and 2016 and especially the German Championship of my son Jan Odin with Sleipnir in 2011 and 2013. 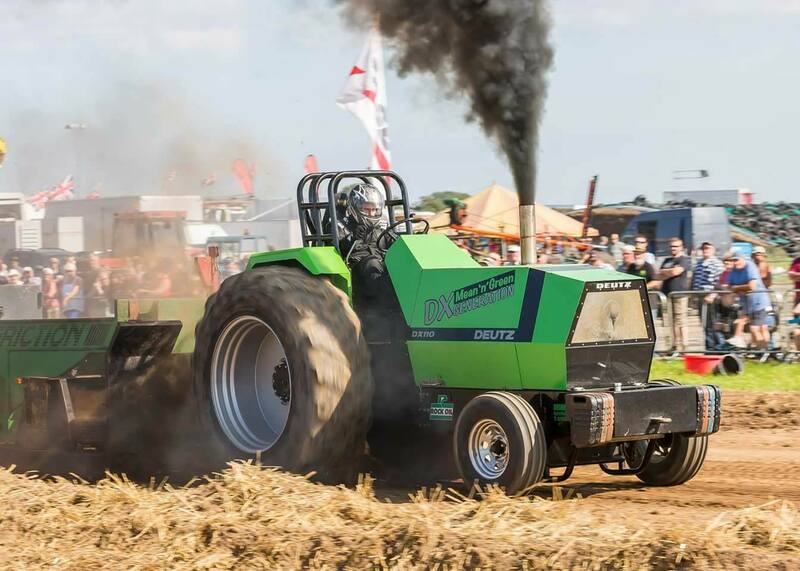 In 2013, he even won the European Championship in the 500kg Stock division in Garden Pulling. Andy Bender: I like all classes. Andy Bender: That was my crash in Füchtorf (D) last year. Every time I watch the video my neck still hurts. Andy Bender: It would be nice if Tractor Pulling gets more popular in Germany, to draw more attention to sponsors. Andy Bender: To find more time to continue this wonderful hobby and to make Thor more competitive. Andy Bender: There was a lot, but my personal highlight was the start at the European Championship in Great Eccleston (GB) 2016. 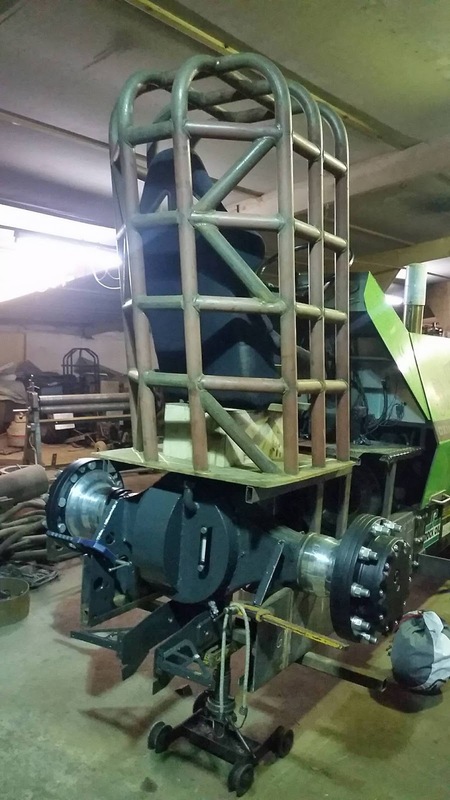 Andy Bender: Building up Thor in 2013/2014 in cooperation with The Riddle Pulling Team at their workshop in Putten (NL). 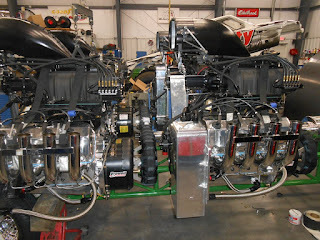 I learned very much about engine and Tractor setups which made it much easier to start in the Mini Rod class. Special thanks to Erik Van Asselt and his Team. Andy Bender: Thanks for all the helping hands in the past especially to Hartmut Henkel and other Garden Pulling guys. Sadly we are very busy with our company and can’t participate on every event this year. We wish all Teams good luck for the new season and exciting competitions for the fans. See you on the track and happy easter ! pullingworld.com: Thank you for your time and good luck for the future ! And the next TWD Truck was sold, this time from the Netherlands. The TWD called ,,Cloud Nine´´ of the Cloud Nine Pulling Team from Hellevoetsluis is in new hands since October last year. 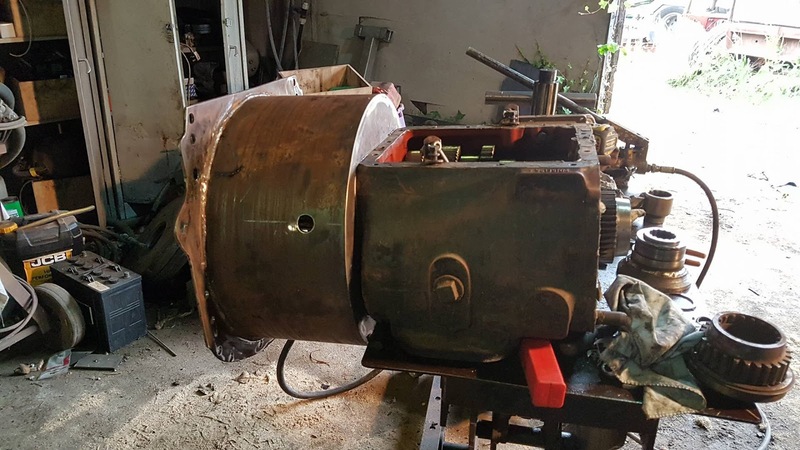 The machine with the Ford bodyshell was sold without the power plant to the new founded Pulling Team called ,,Born Slippy´´ from Great Britain. The new British Team have planned to compete on the BTPA pulls in 2019. 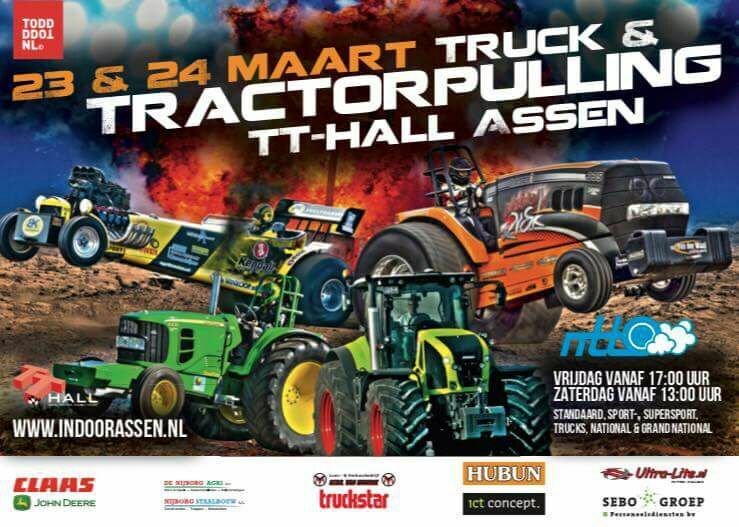 After the sell of the TWD Truck, the Cloud Nine Pulling Team will continue with their Mini Mod Tractor called ,,Poker Face" in the Dutch GN Championship. Tom Westdorp, 46 years old from Terneuzen, in the Netherlands. Tom is the current 2nd ETPC flagman at the European Championships and the Euro Cup rounds in Europe. Tom Westdorp: I’m a security guard at a big American company which makes food products. Tom Westdorp: Most of my free time I like to spend with my family and friends. 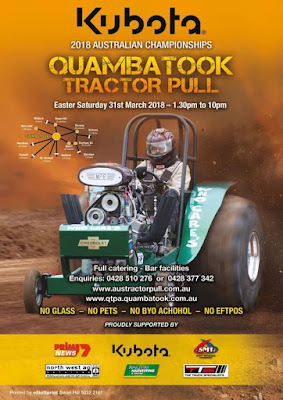 Tom Westdorp: The friendship, noise, power….. what’s not to like about Tractor Pulling. Tom Westdorp: Kapelle-Biezelinge (NL). A Pull not far from where I live. Me and some friends went there with our Mopeds. 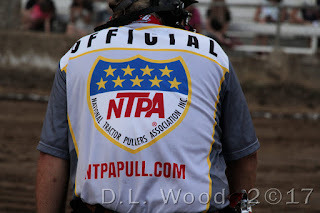 Tom Westdorp: Every Pull has something special. But if I have to pick a favorite it’s Made in Holland. Bernay (F) is also very nice and very special. 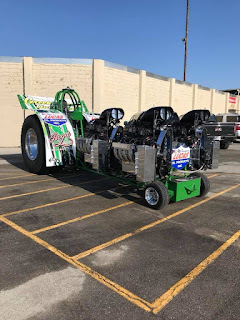 pullingworld.com: When and where do you have flagged a Pulling event for the first time? Tom Westdorp: For NTTO I think it was in 2009 in Stroe (NL). 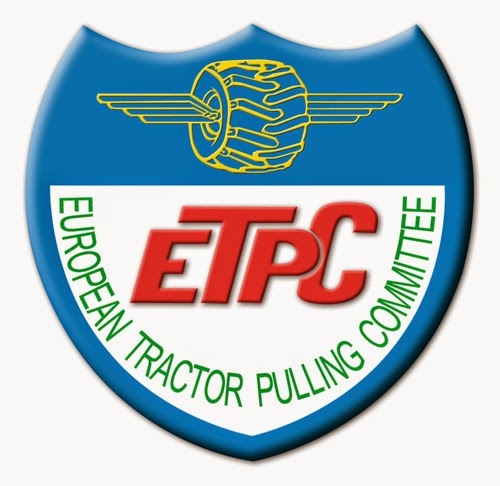 For ETPC it was in Bernay (F) in 2014. 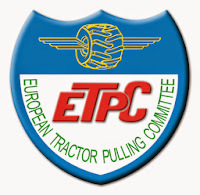 Tom Westdorp: To become a flagman for ETPC and NTTO. Tom Westdorp: I like them all, but I have a weakness for the Mini Unlimited. They evolved so much in the last couple of years. Tom Westdorp: It was a very big disappointment to cancel the Pull in Brande (DK) last year. I hope that we never have to do that again. So sad to see the tears with the promoter who did everything in their power. Tom Westdorp: We have to communicate better which each other. Stop complaining about everything and come with a solution. Tom Westdorp: Keep on flagging, for both ETPC and NTTO, I hope. 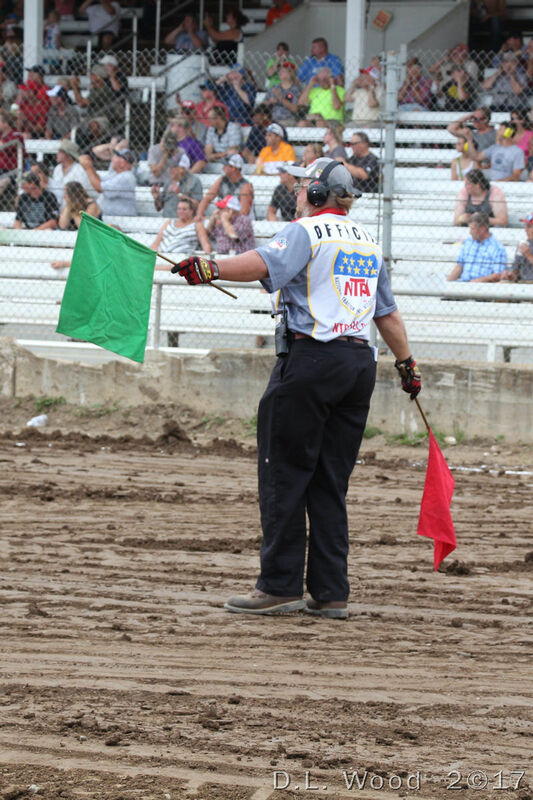 Tom Westdorp: My first Pull as an end flagman on my own. I was very nervous. Especially for ETPC because I had to replace two monuments of the sport. 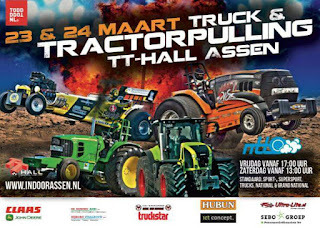 pullingworld.com: What´s your favourite Pulling Tractor / Pulling Team? Tom Westdorp: I don’t have a favorite one. I have respect for all theTeams. They all do there very best. So like the rest of our Team of officials. Tom Westdorp: I would like to thank my wife, kid and family for letting me do what I do like the most!!! The Team Deutz UK from Calne, Wiltshire, in South West England have built a new Deutz DX 110 Component Limited Pro Stock Tractor in 2017. The Tractor is a 3.5t / 7700lbs. Limited Pro Stock, same rules as a normal Pro Stock, but with a engine displacement limit of 404cui. 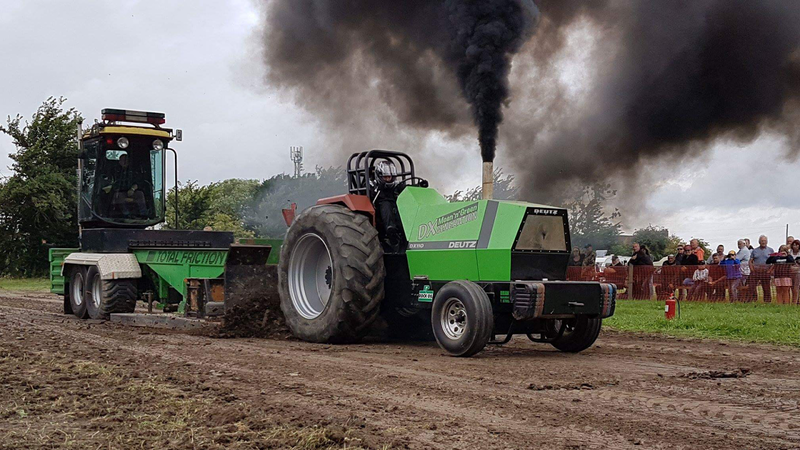 The British Team compete with the South West Tractor Pullers Association and the North East Tractor Pulling Club for points in the UK Pro Pulling Championship. Team Deutz UK was started in 2002 by Pete George from Wiltshire, South West England with the Deutz 8006 machine called ,,Mean ´n´ Green". The Tractor was all ready built and over the years they improved on what they had. In the Winter of 2013/14, the guys rebuilt the whole front end with the help of Ed Bateman of Major Madness. With the fresh new look, the Tractor was rename into ,,Mean ´n´ Green DX Generation". 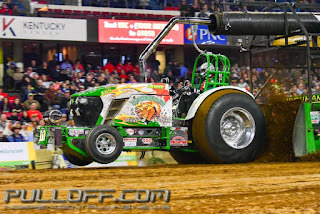 After 2 strong seasons at the final round of the 2015 season, they broke the gearbox, with this and the fact the Tractor never ran in a straight line, the Team decided to rebuild the Tractor into a Component Tractor. 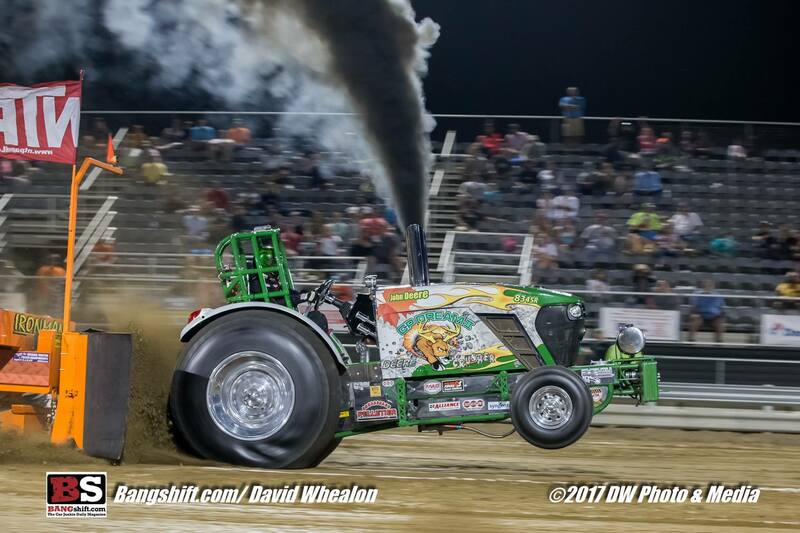 Over 2016/17, the Tractor was rebuilt into a Component Tractor with help of Steve Cox and at the later part of the 2017 season they were able to make some test passes with great results. 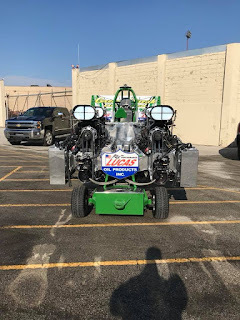 The whole Team is run on a very tight budget and have to be clever to keep at the top of the class without spending a fortune or pushing it to far to break parts. 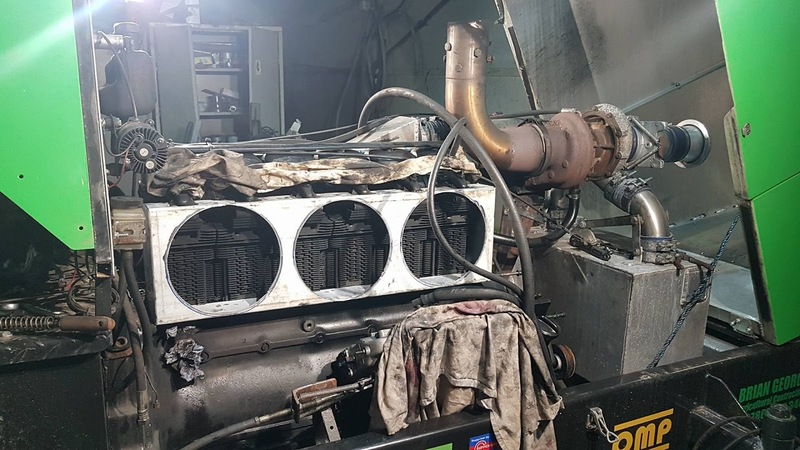 The new Component Limited Pro Stock received a new homemade 4mm steel wedge frame with a american spec built steel rollcage by Ed Bateman, homemade steel wheelie bars and a DAF Truck rearend. 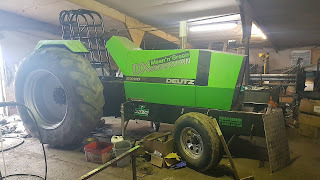 The Deutz DX 110 hood isn´t original anymore. They built the hood from aluminium and is larger than the original DX 110 hood. 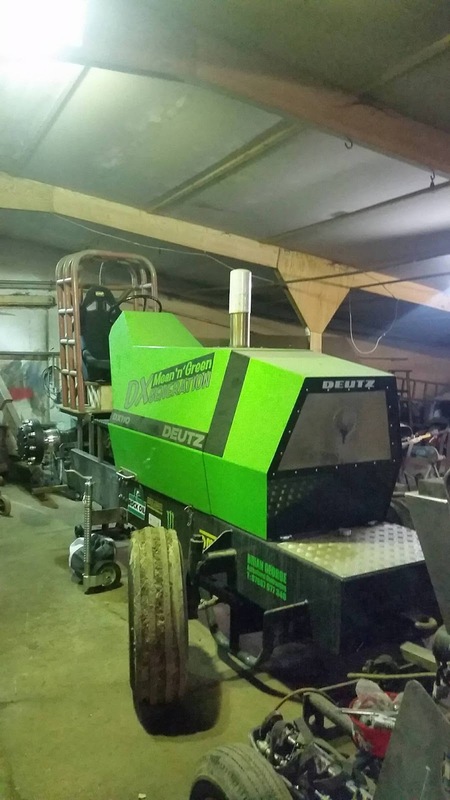 The sheet metal fenders of the Pro Stock are original Deutz. The Team Deutz UK bought the Truck rearend for their new machine from Piet Hagens in the Netherlands. 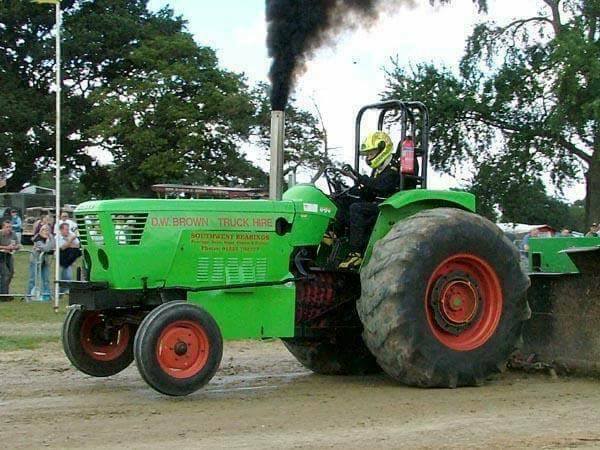 Piet is the owner and driver of the turbocharged Transmash V12 powered Light Modified Tractor called ,,One Dirty Doz´n´´. The rearend has a original DAF center section with a DAF 2255 needle bearing differential, a DAF ring and pinion gear and machined aluminium Mercedes planetaries carrier housing with Mercedes planetaries. 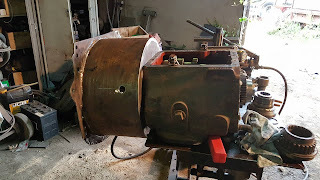 The new ride also got a Fuller 5 speed gearbox with a costum built gearbox housing by Steve Cox, a self built clutch bell housing and a 2 disc clutch built by Chris George. The rear wheels on the Mean ´n´ Green DX Generation are a set of cut Goodyear 20.8 x 38´´ inch tires on light steel rims. The Goodyear tires were cut by Pete George. The new Limited Pro Stock is powered by a Deutz BF6L 913 power plant with 6.1l / 378cui. on diesel fuel. The engine received a lots of changes. The engine has a original Deutz cast iron block with bigger sleeves, original Deutz rods with KS Kolbenschmidt pistons (machined with their own design), a Deutz crank with KS Kolbenschmidt bearings, a flowed Deutz head with a Performance Design camshaft, a Holset HC3 Performance turbocharger built by Universal Turbos, a stock intake manifold and a costum built exhaust manifold by Ed Bateman, a homemade aluminium Intercooler and a Bosch P-pump with 13mm elements by John Sowerby. 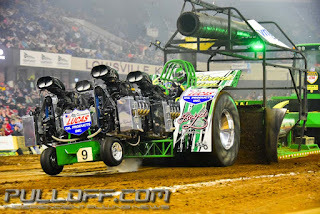 For the upcoming season, the guys from UK will make some few more changes on the engine. They want going over to electric fans and changing to a better exhaust system. Fuchs Oil Miracle Light sold ! The 950kg / 2095lbs. Mini Rod Tractor called ,,Fuchs Oil Miracle Light´´ of Sven Meierjohann from Hipstedt, in Germany was completely sold to a not unknown Mini Rod Team in Germany. The vehicle was purchased by the Hot Head Pulling Team around Daniel Bäumer from Ostbevern, in Germany. 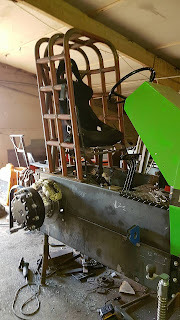 The Tractor will get some changes in the Hot Head workshop before the season starts. Daniel and his crew have planned to compete in the German Championship this year. 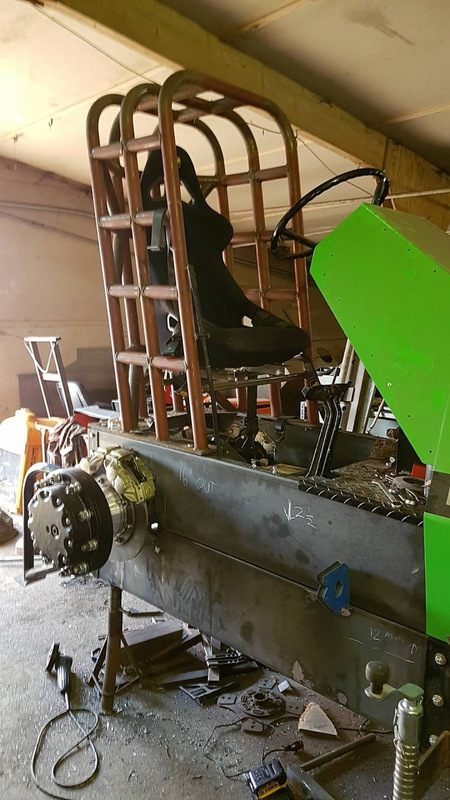 The maiden run after those changes is planned, but not 100% sure for the 29th of April 2018 at the German Championship season opener in Füchtorf, Germany. 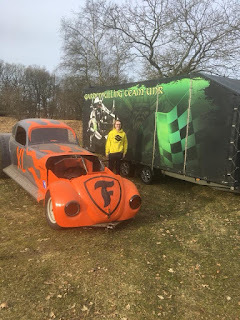 The Swedish TWD Truck called ,,XL´´ of the XL Pulling Team around Mattias Nilsson from Vellinge was sold without the V8 Hemi engine to Denmark. The VW Beetle was purchased by the 600kg Modified driver Steffen Trost from Skjern in Denmark. The UNR - Unreality Pulling Team have announced on their facebook page, they will not use the VW Beetle bodyshell for their new project. The bodyshell is currently for sale. The first start of the first Danish TWD is planned for the 2019 season in Denmark. The organization of Europeans biggest Outdoor Tractor Pull have announced a US guestpuller for the 25th Edition of Made´s Powerweekend in mid June this year. 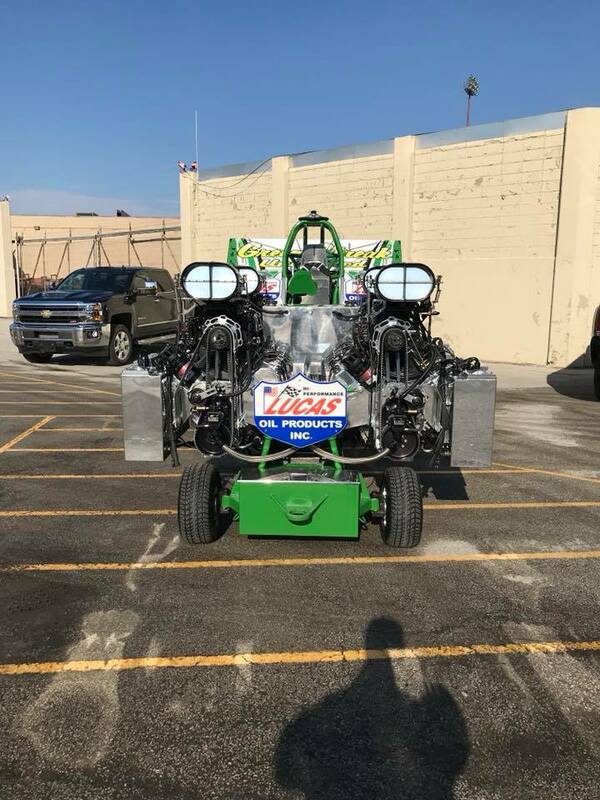 Gardner Stone from Middlebury, Vermont will bring his turbine powered Unlimited Modified Tractor called ,,The General Stage 4´´ to Made this year. 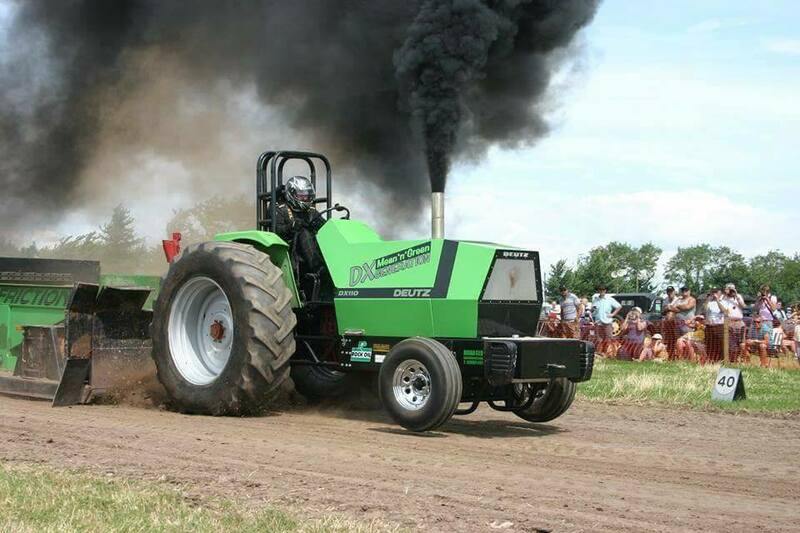 Gardner´s Tractor is powered by 4 Lycoming T55 turbines and has around 13000 HP. The T55 turbines come out of the Boeing-Vertol CH-47 Chinook transport Helicopter of the US Army. 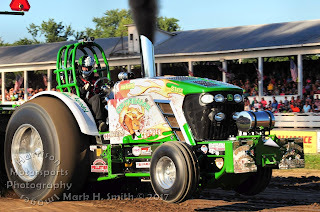 The General was built in 1988 and is one of the oldest exist Unlimited Mod Tractors in the US. The Mod won several NTPA Grand National Pulls and titles in the past. It´s not the first apperence for the Team in Europe. 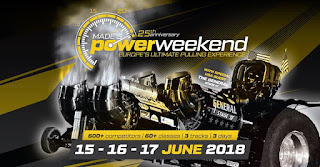 The Team was invited in 1987, 1994 and 2003 at the European Superpull in Ahoy, Rotterdam and also on the European Championships 1994 at the Flevohof, in the Netherlands. Charles Pelletier, 51 years old from St. Armand, Quebec in Canada. 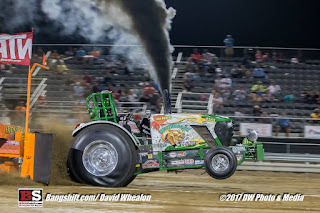 Charles is the owner and driver of the John Deere 8345R Component Pro Stock Tractor called ,,CP Dream 2". He´s also the 2017 NTPA Grand National Champion of the 10000lbs. 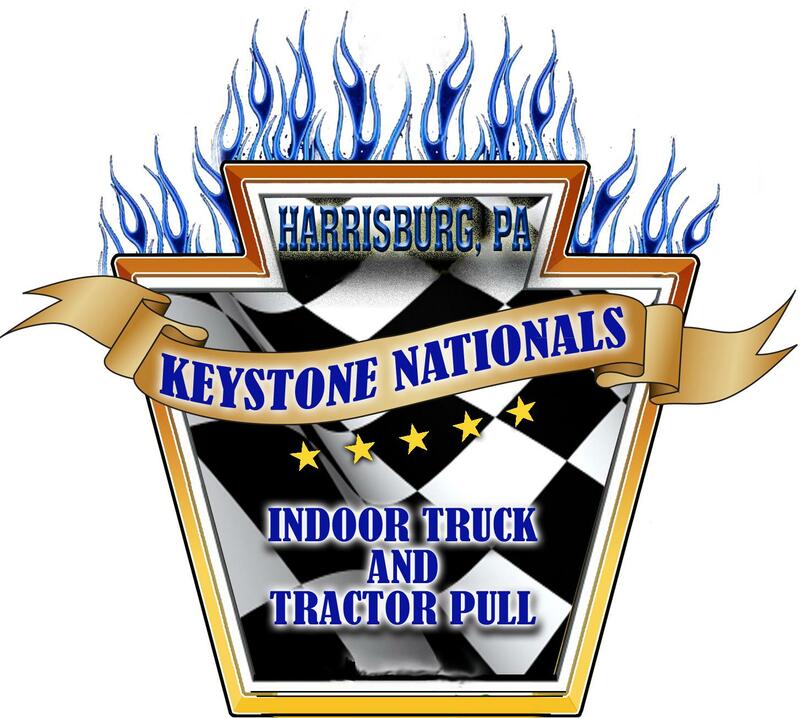 Pro Stock division. Charles Pelletier: I am the owner of a limestone quarry in St-Armand, Qc. - Concassage Pelletier Inc. – that extracts, transforms and sells limestone and OMYA Agrodol-SA (40% Magnesium Agricultural Dolomitic Limestone) High-quality, natural mineral to condition and enrich crop soil, produced under strict ISO 9001:2008 quality standards. Charles Pelletier: I am a vintage chainsaw collector, I love spending time with my family and grandkids, and workout 3-5 times a week. 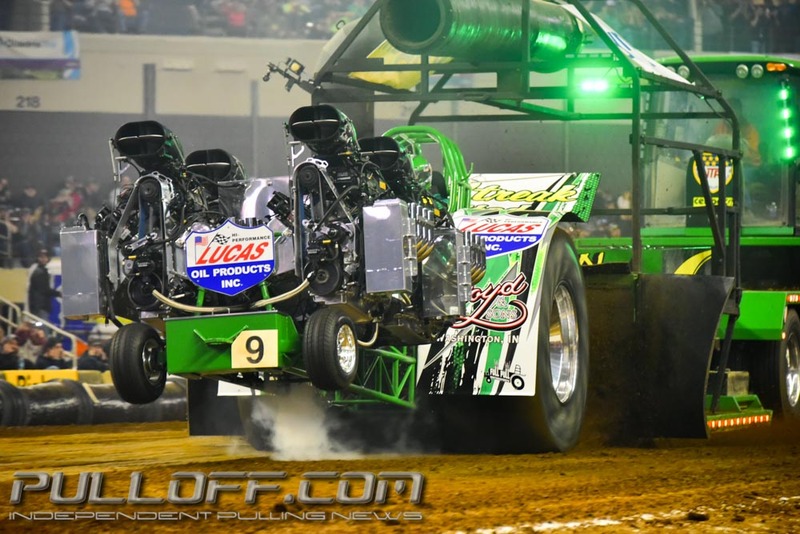 Charles Pelletier: I love the family ambience, the competition and the adrenaline rush. 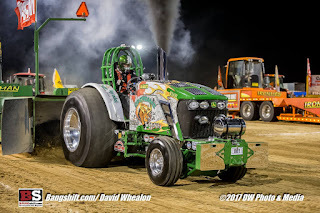 Tractor Pulling is like being part of a huge Family. Charles Pelletier: My first Tractor Pulling event was the Casselman Super Pull in Ontario with the ASTTQ (Association Sportive de Tire de Tracteurs du Québec). Charles Pelletier: My favorite track is Chapel Hill, Tennessee. 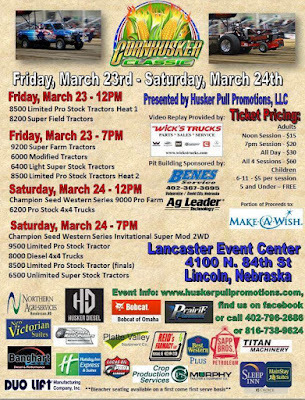 The folks at Lions Super Pull are genuinely good people and take really good care of us and it’s the perfect track for Super Stock. 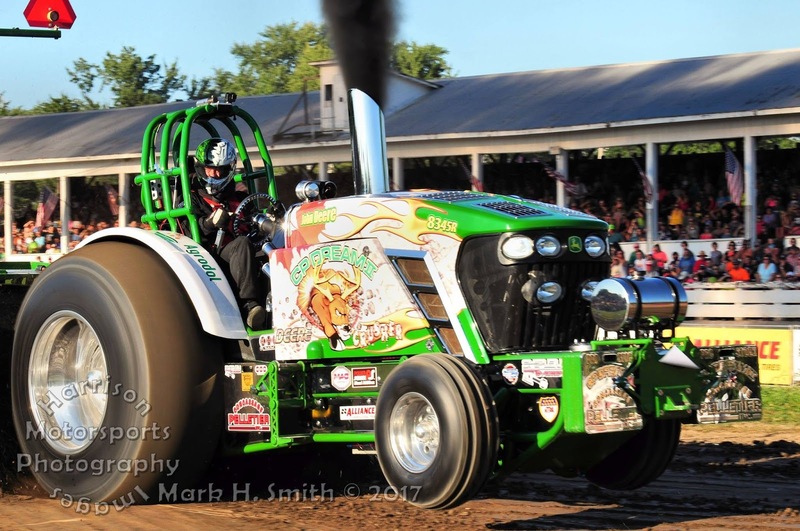 Charles Pelletier: My first Pulling experience was at Expo Bedford Fair in Bedford, Québec around 1983. I pulled with a 135 White. 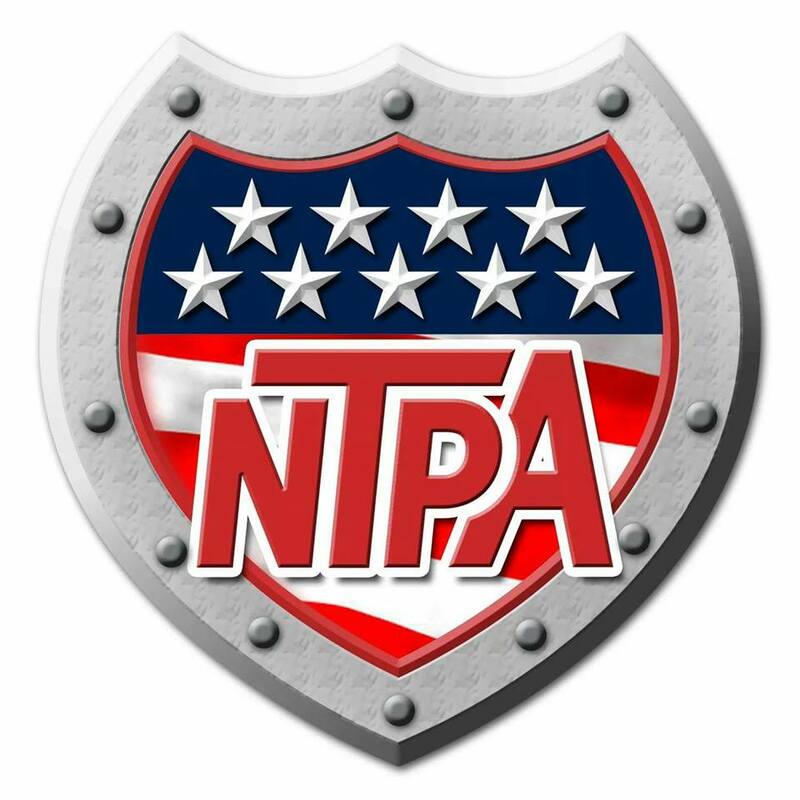 Charles Pelletier: My biggest accomplishment has to be winning the 50th Anniversary Bowling Green and becoming the NTPA 2017 Grand Champion. It’s more than a dream! 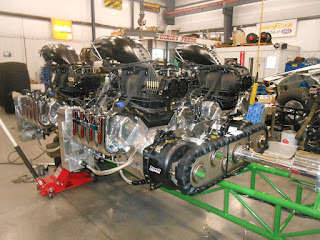 Charles Pelletier: Aside from my Pro Stock, I love the Super Stock Diesel. Charles Pelletier: Never having been able to touch the sand in Louisville, Kentucky…. But, I will someday, for sure! Charles Pelletier: I think finding a way to get bigger sponsors so that prize winnings are higher would be something to work on. 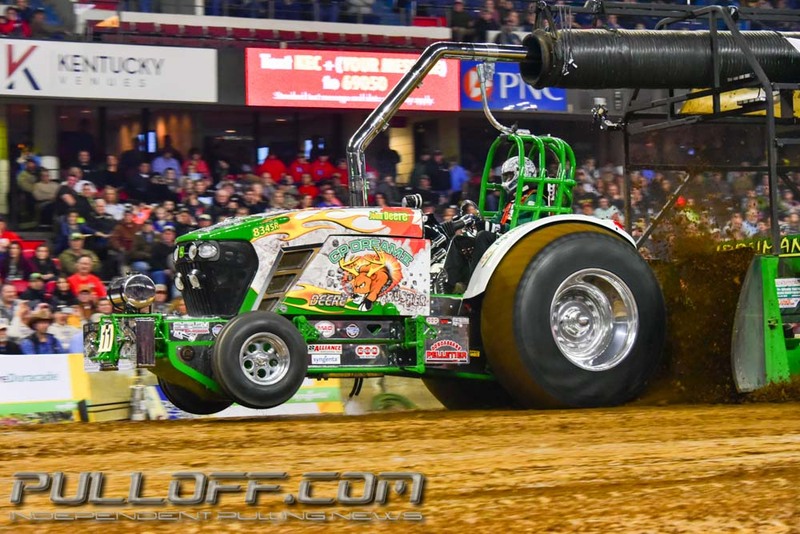 The cost of participating/building these Tractors has gotten to be so high that I fear interest in the sport may decline because of discouraged participants. It would help guarantee the future of the sport. 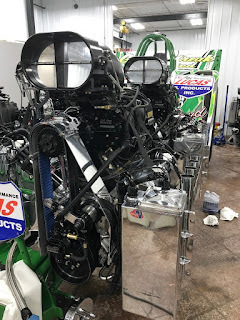 Charles Pelletier: My goal for 2018 is to have a repeat and defend my title, something that hasn't happened in the Pro Stock circuit in a very long time. It will be an awesome challenge for me! Charles Pelletier: When the association realized the importance of safety in the sport and imposed rules and regulations to protect participants, their teams and fans alike (roll cages, seat belts, helmets, transmission and clutch guards, etc.) You shouldn’t have to worry about your safety when practicing a sport. Charles Pelletier: Building my first CP Dream I Tractor in Bedford, Québec in 2006. Charles Pelletier: I’d like to mention my wife and best friend, Linda, who is always there to push me to persevere and to support me no matter what. A great big thanks to the best mechanics there are and my best buddies, the guys at Shipley Tractor Equipment: Josh, Russel and Tim. They’ve always believed in me. I hope the sport will continue for a long time and that there will be successors for generations to come. From Washington, Indiana in the USA, the Green Streak Pulling Team around Steve and Greg Boyd have built a new 4 engine powered Mod Tractor during the last winter. 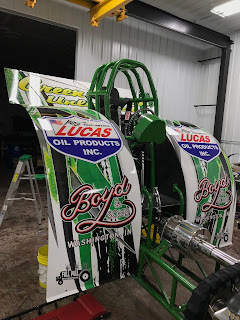 After 4 seasons with the Engler Chassis, the Team decided to going a new way with a new chassis and a different engine setup on the the new one. 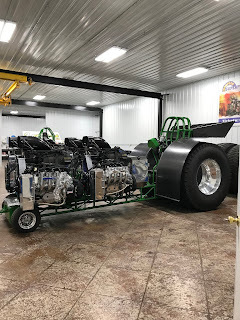 The new Mod got a completely new developed chrome moly tube frame with a new three bar chrome moly rollcage, a new FPM (Full Pull Motorsports) fabricated SQHD sheet metal rear axle housing, a newly built hitch and a hydraulic steering. 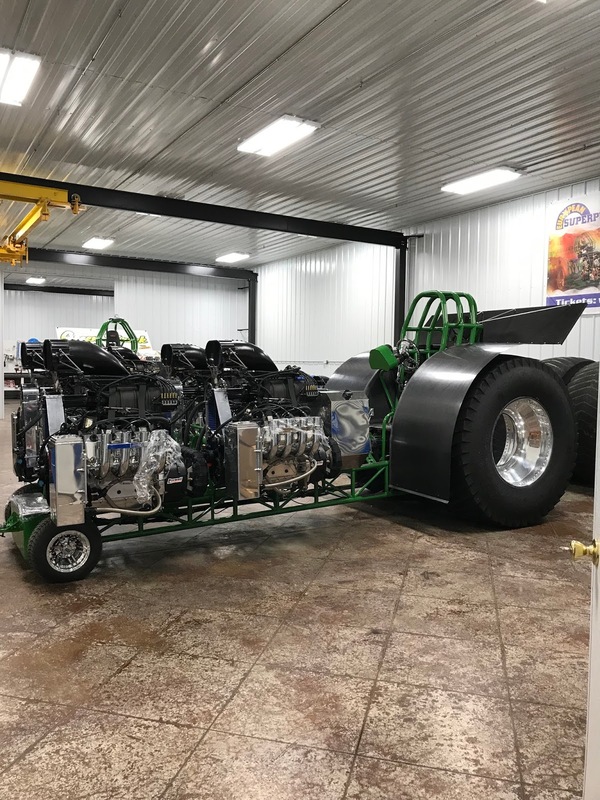 The completely new chassis was developed and built by Bob Barbee and the Team at Full Pull Motorsports from Springfield, Tennessee. 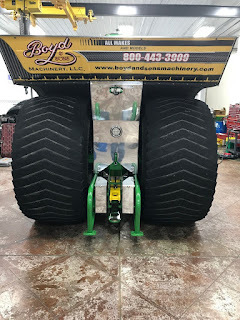 The new fenders on the new ride are made from carbon fiber and received a completely new vinyl graphics from TKO. 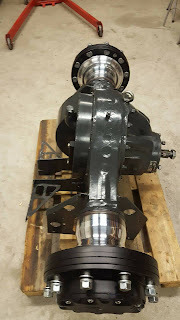 The new rearend in the Mod has a billet aluminium center section from TRB Machine with a billet Humpco aluminium diff, a Rockwell ring and pinion gear, Franklin magnesium planetaries carrier housing with billet Franklin planetaries and Full Pull Motorsports 24´´ inch titanium brake rotors with billet FPM aluminium brake calipers. 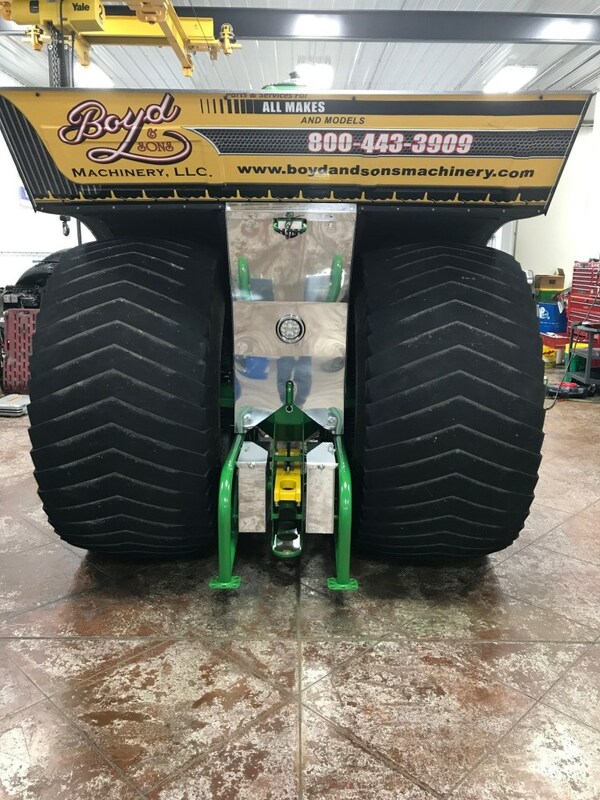 Boyd´s purchased for their new vehicle a set of new cut Firestone Puller 2000 HP tires on Midwest aluminium rims. Also completely new on the Mod is the drivetrain. 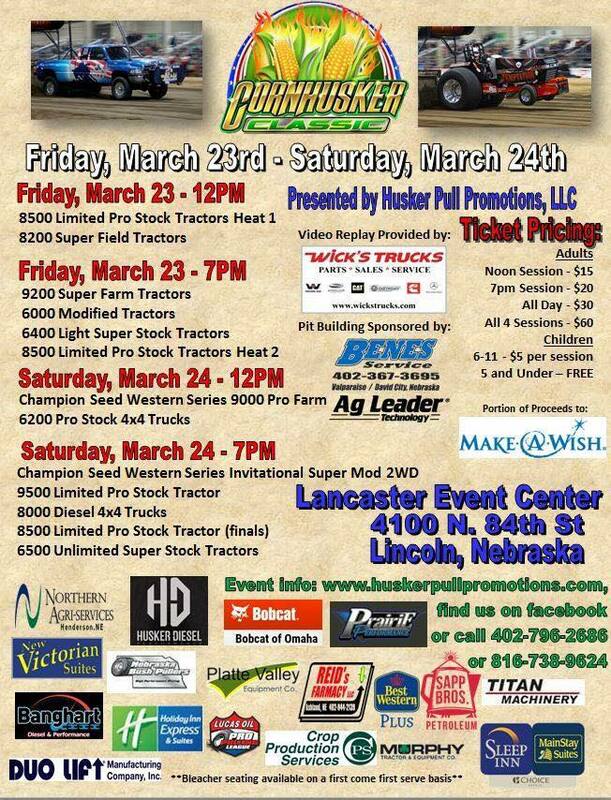 The Green Streak Pulling Team going with this concept a completely different way. On the chassis are mounted 2 completely new Crossboxes with new billet drivelines and a SCS reverser with a billet driveline brake. The billet driveline brake is directly mounted on the SCS reverser. 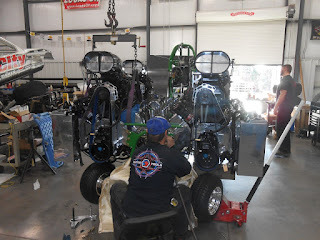 The new Crossboxes are a collaboration between Full Pull Motorsports and Modern Machine from Van Buren, Indiana. FPM have built the titanium housings for the boxes and Modern Machine built all the internals (like the gears, shafts etc.) and assembled them. 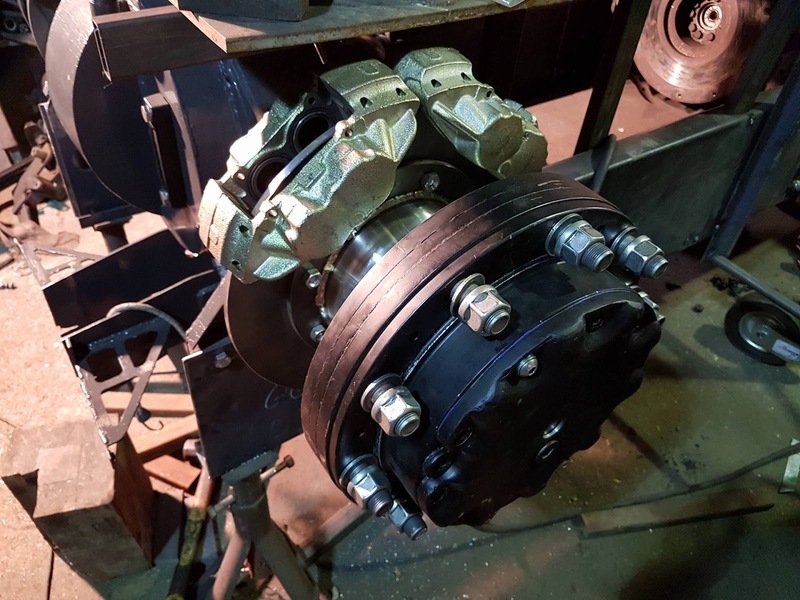 Modern Machine also have built the new drivelines between the crossboxes and the reverser. 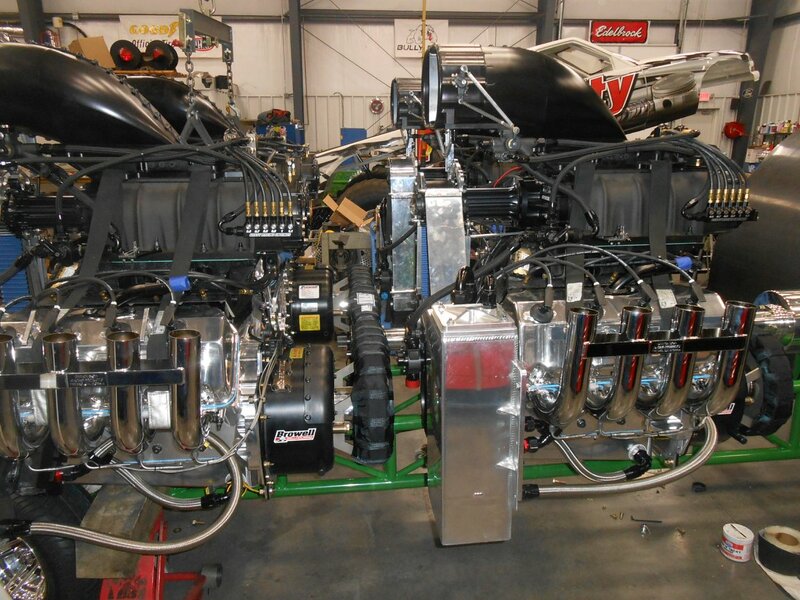 The 4 V8 engines has a other position on the new chassis now. 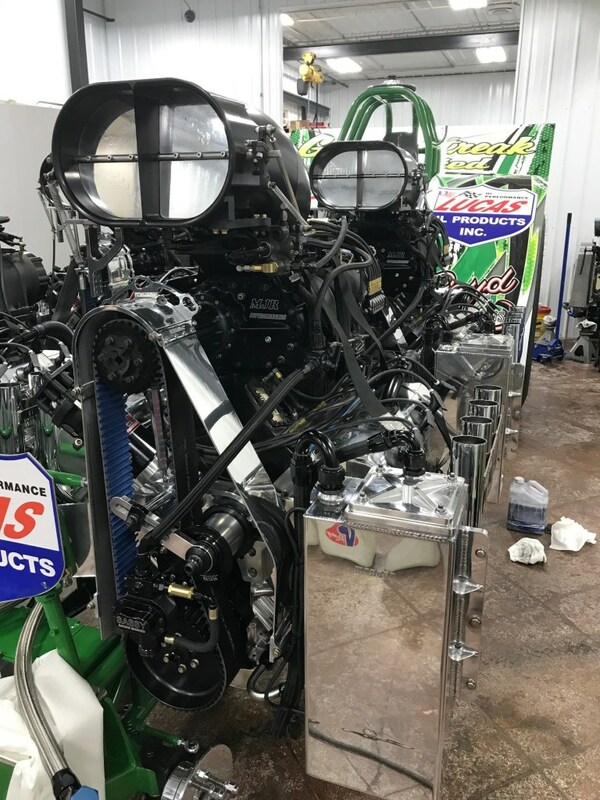 The V8s are 90 degree turned and sits more forward than on the old Engler chassis. Also the direction of rotation on the engines were changed. The 2 engines on the left site turning counterclockwise and the other 2 engines on the right turning clockwise. The Team hopes to get a better balance and less torque in the tube frame with those changes. 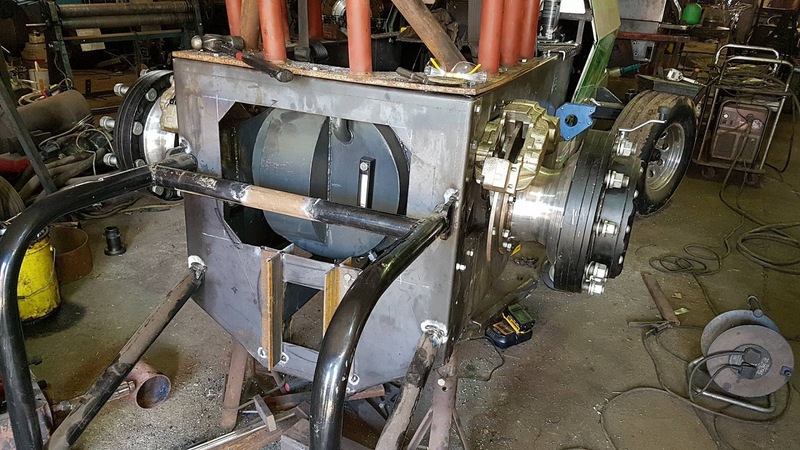 Each engine on the the Mod have a 3 disc centrifugal clutch with a Browell aluminium bell housing. 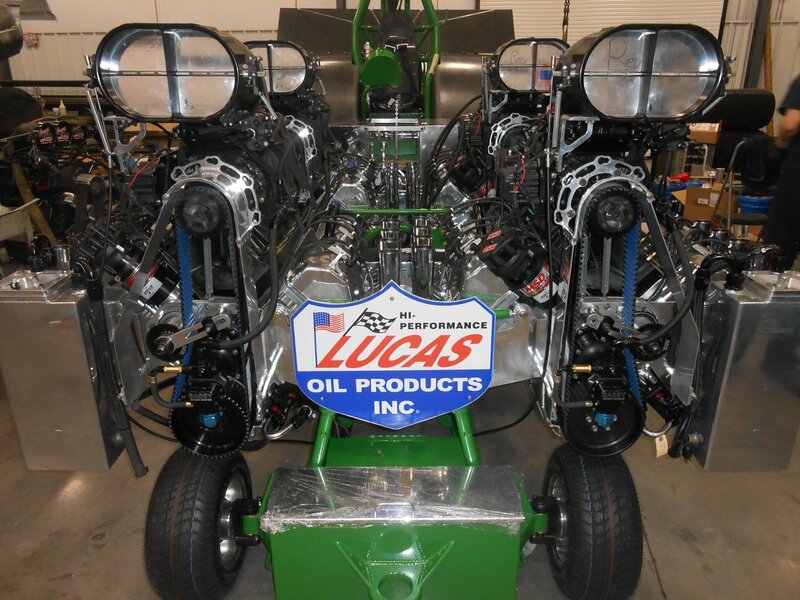 The new Green Streak Unlimited is powered by 4 blown Sassy Racing V8 Hemi engines on methanol fuel. 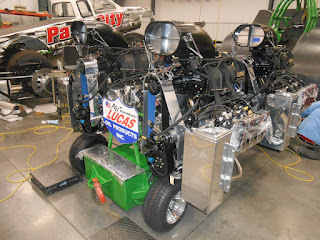 The engines also ran on the old Green Streak Unlimited Mod Tractor and were checked and overhauled during the winter. The Sassy Racing power plants have a BAE billet aluminium block with BAE Alcohol billet aluminium heads, Moroso valve covers, a billet crank with billet aluminum rods and pistons, Dan Olsen Racing exhaust headers, a Mike Janis 8-71 supercharger with a Mike Janis aluminum scoop injector, a Sassy Racing fuel system, a MSD Pro Mag 44 ignition, a Racepak data logger and a dry sump lubrication with a aluminium oil tank. 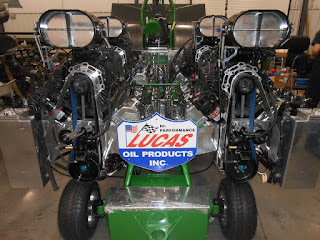 Each of the 4 Sassy Racing engines was on the own engine dyno of the Green Streak Team and make around 2600 HP with the 8-71 blower. 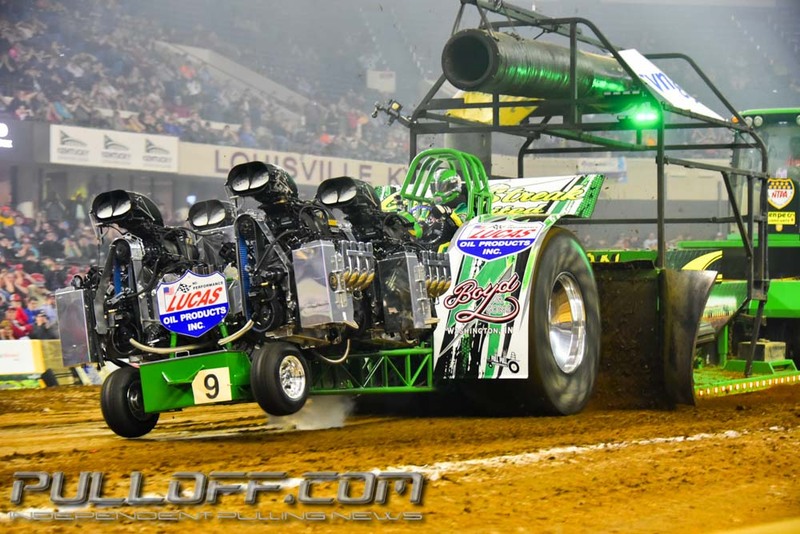 The Green Streak Pulling Team will compete with their new Green Streak Unlimited Modified in the Lucas Oil Pro Pulling League Champions Tour this year. 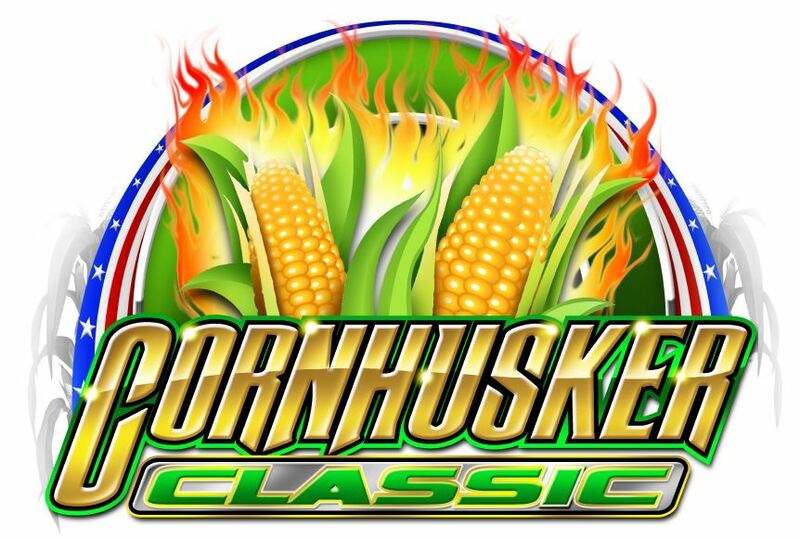 Cornhusker Classic 2018 competitors are known !